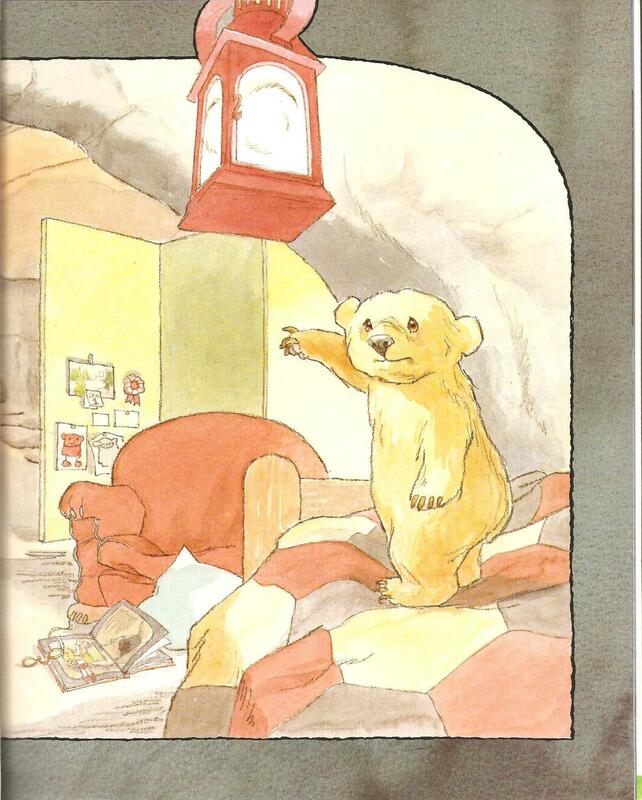 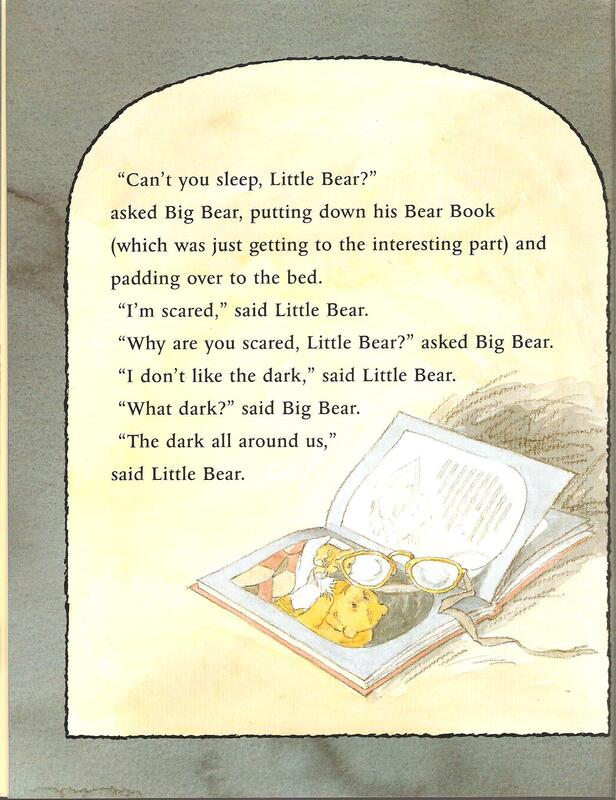 “Can’t you sleep, Little Bear?” asked Big Bear, putting down his Bear Book (which was Can’t You Sleep, Little Bear? 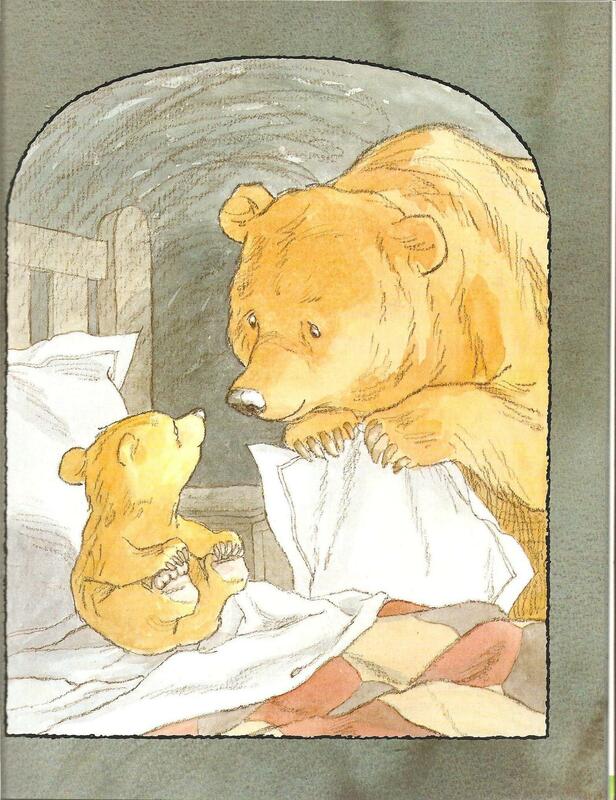 (Walker, 2009) by Martin Waddell and Barbara Firth). 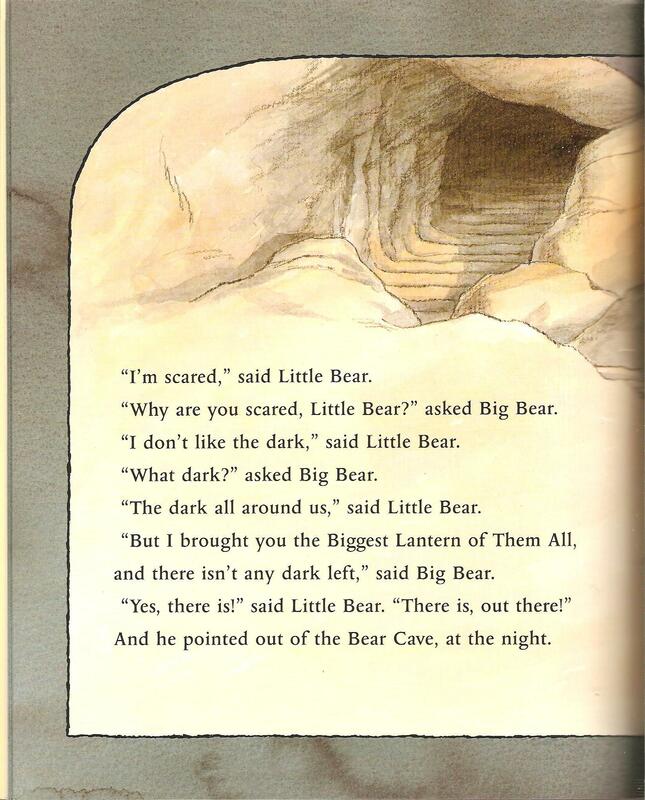 See also All About Alice.